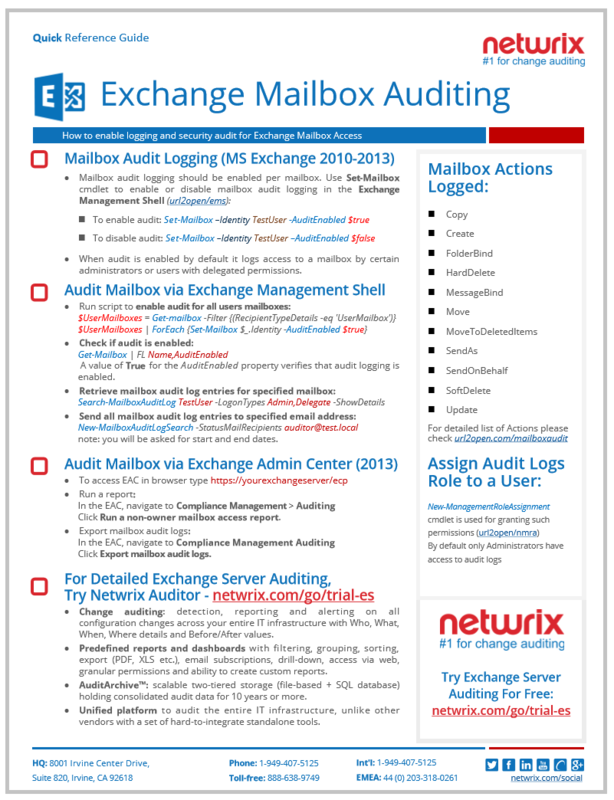 This guide shows system administrators few quick, most common tips about mailbox audit on your Exchange server. If you want to know who has accessed a shared mailbox, viewed, deleted a message or sent it on behalf this 100% free guide comes handy. 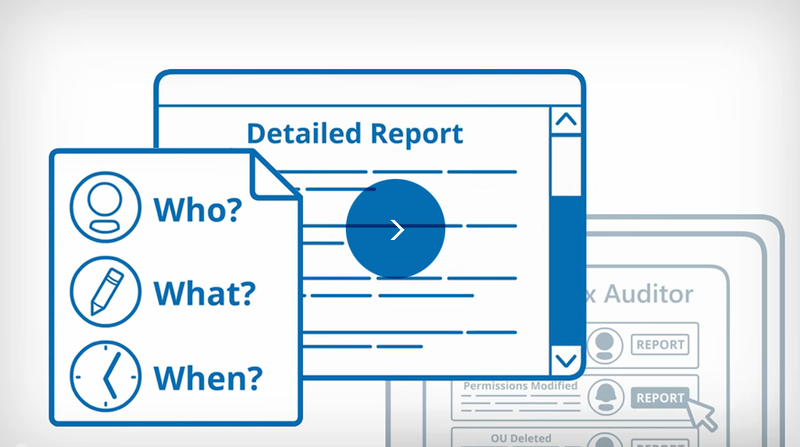 Netwrix Auditor for Exchange is a change auditing application that strengthens security, streamlines compliance and optimizes operations by providing comprehensive Exchange auditing capabilities. It enables complete visibility in your Exchange servers by auditing configuration and permission modifications.